This 13,280 SF Medical Office Building was completed for Grady Hospital in 2011. Designed like a private doctor's office, the center is part of the major new push to attract insured patients, who may not typically visit a Grady clinic. 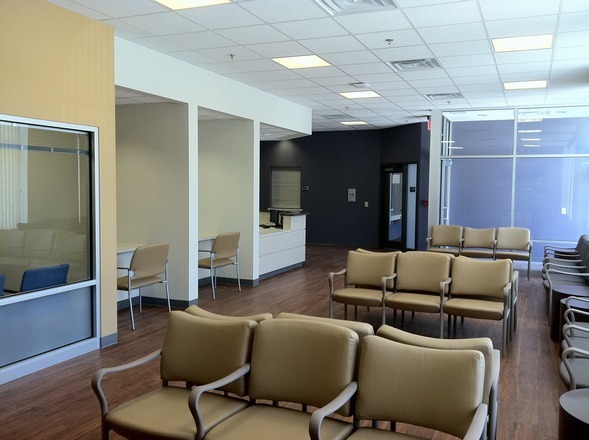 The new medical office building renovation is constructed in existing space in an East Atlanta shopping center that is in the process of revitalization. The medical practice includes 20 primary care Exam rooms, a Digital Imaging and Procedure room, a combined Phlebotomy/Lab, a full-service eye lab, an outpatient pharmacy and eight physician offices.